On 14th June 2016, Yamaha Motor Co. Japan announced the recall of the YZF-R25 for component upgrades in their domestic market. Hong Leong Yamaha Sdn. 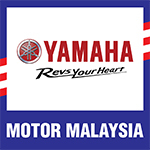 Bhd., as a responsible manufacturer and assembler of Yamaha motorcycles in Malaysia, is committed to ensuring that Yamaha motorcycles produced here conform to the standards of the after-sales service requirements. Thank you for your patience as we work through the details. Be assured that preparations for customer care action are well underway and an official announcement will be published shortly via this website as well as our Yamaha Authorised Dealer network.